Trevor Picken has a long association with the band as a player, conductor and longtime supporter. The band were delighted with the mode of transport provided by Trevor to take us from the bandroom up to the hotel where the celebration was taking place. 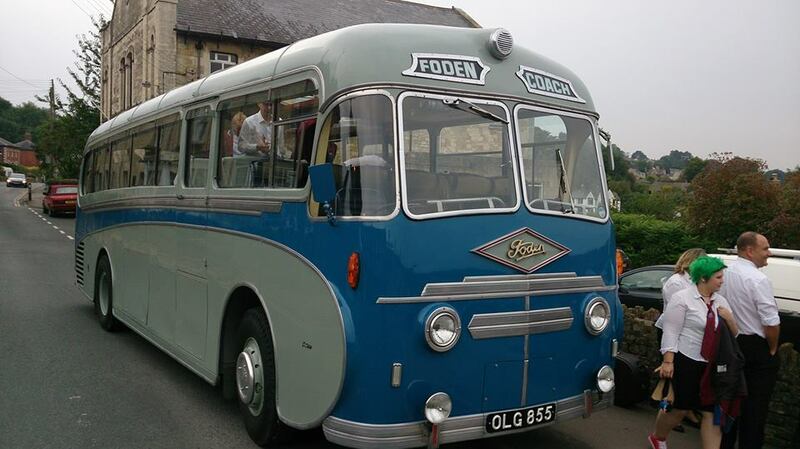 This is a 1951 Foden’s Motor Works bus, with lovely décor inside to match. I’m not saying we played as well as the original occupants, but we gave it our best shot, playing music requested and introduced by Trevor, much of it connected with the band’s history, for example the ‘Nailsworth Ladder’ march by Derek Broadbent, and the ‘O.D.S’ march in tribute to Ossie Stephens, remembered as the force behind the Stroud Brass Band Festival.